For the second quarter ended 30 June 2018, the Group’s revenue had increased by 66.1% (RM 27.0 million) as compared to the revenue of RM 40.7 million in second quarter 30 June 2017. 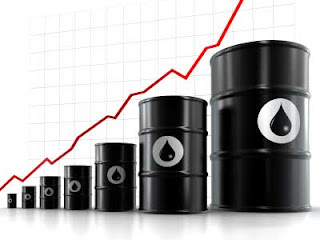 The revenue increase is mainly attributed to the increase in production volume, higher world crude oil price and deferred revenue from first quarter arising from congested oil export traffic in March 2018. The average production of second quarter 2018 was 2,900 bopd as compared to 2,500 bopd in second quarter 2017. As the cost optimizing efforts continue, the operating expenses (exclude DD&A) in the current quarter under review has remained at same level as second quarter 2017 even with increased production, which had translated into higher efficiency for the Group. As a result of higher revenue and efficient cost control in the second quarter of 2018, the Group has recorded 1510% (RM 29.9 million) increase in Earnings before Interest, Tax, Depreciation and Amortisation (EBITDA) as compared to RM 1.9 million in second quarter of 2017. The Finance Income of RM 2.4 million in second quarter 2018 consists of unrealised FOREX Gain of RM 15.4 million and RM 13.0 million interest payable to corporate shareholder. As a result of higher revenue and lower finance cost, the Group has recorded Profit before Tax of RM 12.6 million in second quarter 2018 as compared to Loss before Tax of RM 23.1 million in second quarter 2017. Profit after Tax had also improved from –RM 27.3 million (Loss) in first quarter 2018 to +RM 4.6 million (Profit) in second quarter 2018. Currently, the Group’s net asset per share stands at RM0.74 as compared to the closing market price of RM0.26 per share on 24 Aug 2018. The Group’s revenue for the current quarter under review had increased by 58.6% or RM 25.0 million from RM 42.5 million in first quarter 2018 to RM 67.7 million mainly attributed by the higher world crude oil price and the deferred sales from first quarter of 2018. For the current quarter under review operating expenses remain almost same level with immediate preceding quarter even though the revenue is higher. The Group had recorded a significant increase of 288% (RM 22.2 million) in Earnings before Interest, Tax, Depreciation and Amortisation (EBITDA) as compared to RM 7.7 million in first quarter of 2018. For the current quarter, the Group had reported Profit before Tax of RM 12.6 million and Profit after Tax of RM 4.6 million compared to the first quarter 2018 Loss before Tax of RM 40.9 million and Loss after Tax of 27.3 million. These positive results were attributed to higher revenue and favorable foreign exchange fluctuation as the US dollar had moved stronger against the Malaysian Ringgit. The Group recorded a Profit before Tax of RM 12.6 million in the current quarter and Loss before Tax of RM 28.3 million in cumulative quarter of 30 June 2018 as compared to second quarter of 2017 Loss before Tax of RM 23.1 million and cumulative quarter for 30 June 2017 Loss before Tax RM 40.1 million. The significant improvement in current quarter profit and lower loss in cumulative quarter in 2018 were due to increase in production level, oil price and lower finance cost. Field rehabilitation is proceeding on many fronts, including an intensive Well Workover campaign to optimist currently producing wells and to revitalize shut in well stock. Trial Production licence approval is expected shortly for the North Kariman Field and flowline design and installation work is underway to prepare for production of approximately 1,000 bopd from this field in the second half of 2018. Drilling of NK-3 exploration well has reached target depth at 4020 m, and is currently under evaluation. Well test to be conducted to determine potential flow rates. This well, which has a high chance of success will increase the in-place volumes of North Kariman. A multi interval test programme is planned for this NK-3 well which will add to production stability. REB is close to resuming the construction work associated with the Central Processing Facility (CPF), as it is a key element to their plans to ramp up production. When commissioned in 3Q 2019, the CPF would enhance their oil handling capacity to 12,000 bopd. This would substantially improve their earning potential in the near future. contribution to their bottom line. New exploration locations, K-16 and WK-1, have been chosen for the next two exploration wells to fulfil their exploration commitment for 2018. K-16 has a high chance of success since it is close to the producing field and in close proximity to the infrastructure. West Kariman-1 (WK-1) is located to test a significant structure in line with some prolific wells to the south of the Emir Oil Block. Human resource development through competency training, job grading and succession planning is progressing well and has resulted in improved organisational structure and work flow. Outsourcing of facility maintenance activities in 3Q 2018 is expected to embed more preventive maintenance routines to improve reliability, availability and maintainability of operations facilities. In order to facilitate the query of the company and stock picking articles I have written, an index has been produced. Everyone can find company and stock picking articles from https://klse.i3investor.com/blogs/general/170872.jsp by date.